Remember the Girls episode where Hannah and Elijah do coke? 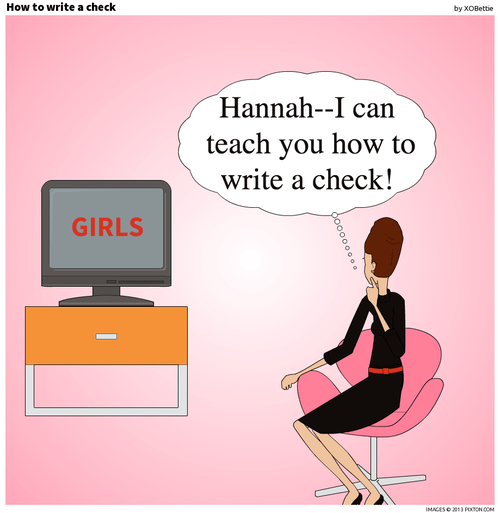 Hannah proclaims (while on coke) to need to learn how to write a check. Girls, it’s essentially fill in the blank. Don’t be scared! And finally my fav part, I sign my autograph on the _________! Fingers-crossed one day my autograph will be worth more than the amount on the check! !